Debris on the shoreline. Photo credit: Rupert Gale. 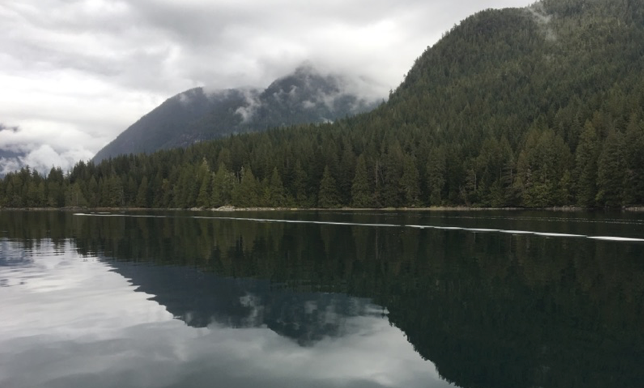 At a meeting in early December 2017, members of the North Vancouver Island (NVI) Marine Plan Advisory Committee heard a good news story about the collaborative effort of 10 local organizations to remove 600 cubic yards of debris from Frederick Arm, near Stuart Island northwest of Campbell River. 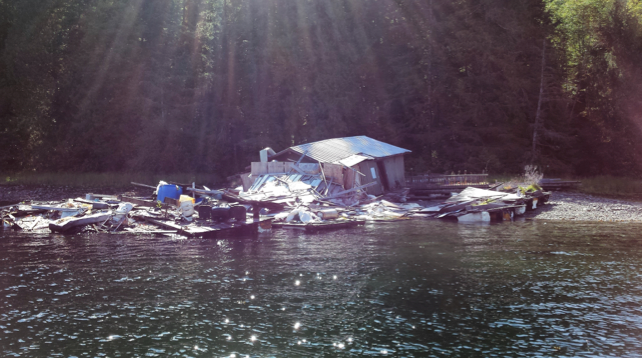 Strathcona Regional District Area C Director Jim Abram explained that, several years ago, a floating restaurant and docks network tethered to the shoreline at Frederick Arm was abandoned by its owners. The structures fell apart, leaving piles of debris on the beach and in the water. After two days of work, the shoreline is restored to its natural state. Photo credit: Rupert Gale.